TAIPEI, Taiwan--(BUSINESS WIRE)--COMPUTEX 2018, organized by TAITRA, Taiwan External Trade Development Council and TCA, Taipei Computer Association, concluded in great success today, as the five-day event attracted 42,284 international visitors from 168 countries, up almost 1% from last year. According to TRITRA, the top 10 countries or regions with the highest turnout, in order, are: the USA, Japan, China, Hong Kong, S. Korea, Thailand, Malaysia, Germany, India, Philippines. COMPUTEX 2018 featured six themes, including “AI”, “5G”, “Blockchain”, “IoT”, “Innovations & Startups”, and “Gaming & VR”. 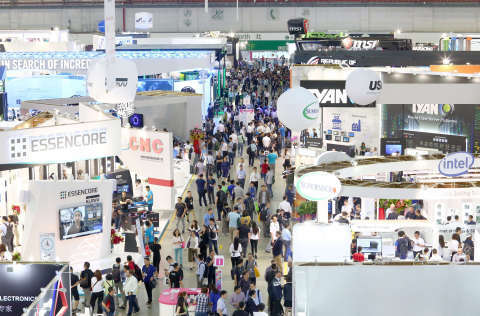 Through a series of exhibitions, forums and procurement meetings, the event connected industry value chains by providing technology companies and startups the best platform for promotion and interaction. Moreover, InnoVEX attracted 17,687 visitors in a short 3-day period, an increase of over 18% from last year. COMPUTEX 2018 concluded in great success today, as the five-day event attracted 42,284 int'l visitors from 168 countries, up almost 1% from last year.